At JustFood, we’ve been creating software to help food companies manage food safety, improve operational efficiency and accelerate growth for over a decade. Deployed in the cloud and offering features like Microsoft Office 365 integration and custom workflows, our newest release makes it easier than ever to run your organization safely and profitably. Among other improvements, the latest release of JustFood includes features designed to make the software work the way you do. 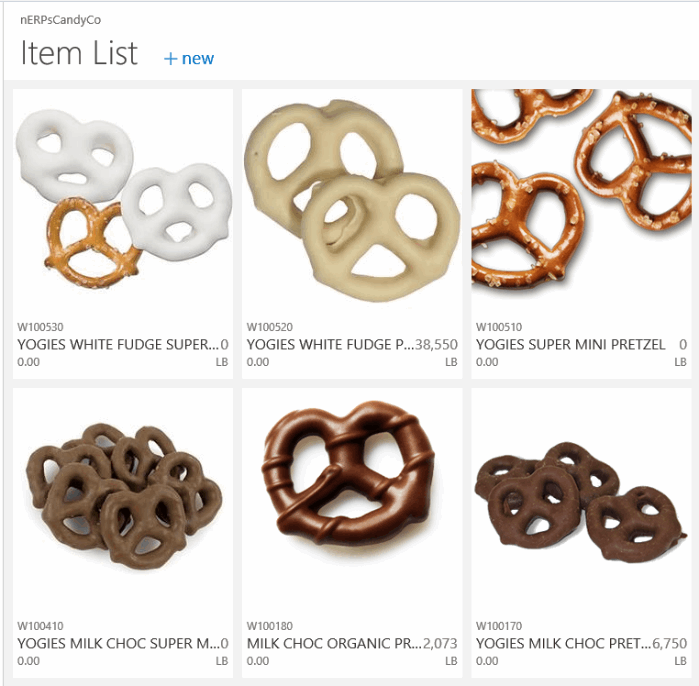 New features give you the flexibility to categorize items and products any way you choose. 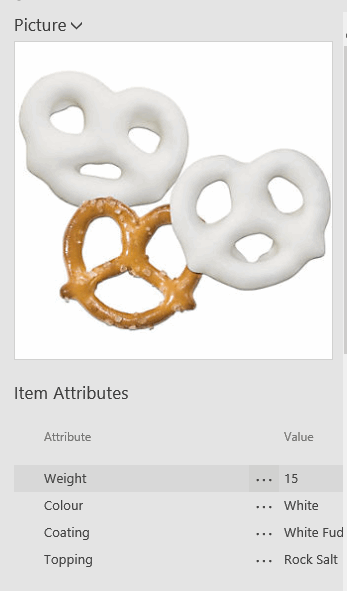 Add attributes to any item or product. Create and assign any attributes you want (e.g. color, length, weight, status, etc. ), then search, sort or filter by those attributes. Attributes can also belong to a category. When you assign attributes to a category, all the items in that category inherit those attributes. You can even nest categories within categories. Every business has workflows. JustFood lets you define the steps a process has to take and makes sure the process is followed every time. Precisely define what has to happen at each stage of the process (e.g. approve a purchase order). Let the software manage the steps and handoffs so no time gets wasted and no steps get missed. Every user’s role center shows what’s waiting for their input right now. If you use the cloud versions of Outlook, Excel and Word, JustFood adds functionality to those programs, bringing access to important features to where you are so you don’t have to go looking for them. 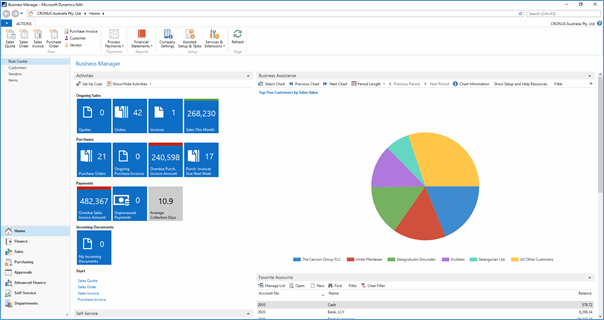 Outlook is still the go-to program most businesses use for their email, contacts and calendars. JustFood now includes several features that tie directly into Outlook. 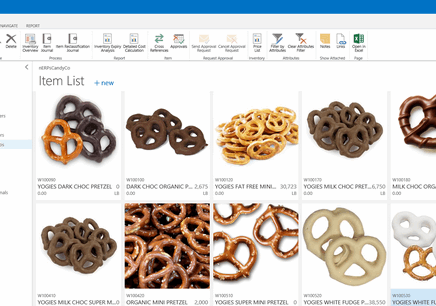 See a customer’s purchase history in Outlook while you’re reading or writing an email to them. Click to drill down without leaving Outlook. Have JustFood automatically detect and catalogue relevant email attachments. Integration with Outlook Calendar automatically cross-references meetings with invoices and other documents relevant to the customer you’re meeting. 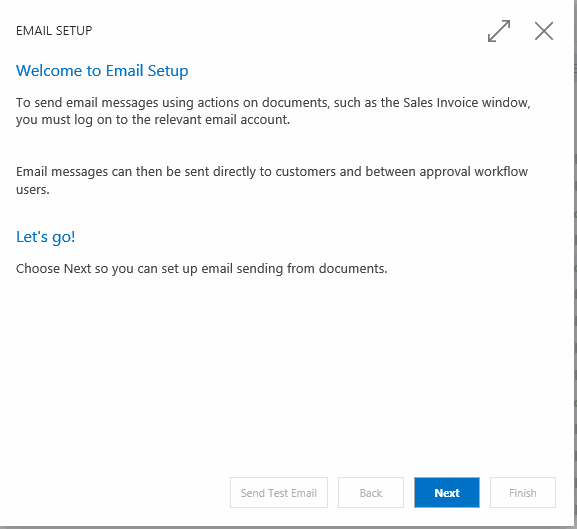 Respond to a customer’s emailed request for a quote without leaving Outlook. Synchronize your contacts between JustFood and Outlook or Microsoft CRM. Sometimes you want to be in Excel, but copying and pasting back and forth or managing multiple versions of the same data can quickly become unmanageable or lead to errors. The improved Excel add-in manages things so you can just get to work. Pull JustFood data into Excel easily. Refresh it to get up-to-the-minute data any time you want. Changes you make in Excel are saved in JustFood. Press the “edit in Excel” button while in JustFood to bring up the data in Excel with a single click. Send data from Excel to JustFood with a new tab on the Excel ribbon. There are still some things that Microsoft Word does better than any other application. The latest release of JustFood improves on the already-deep integration with Word so you can take advantage of those features without making things difficult or creating new opportunities for error. 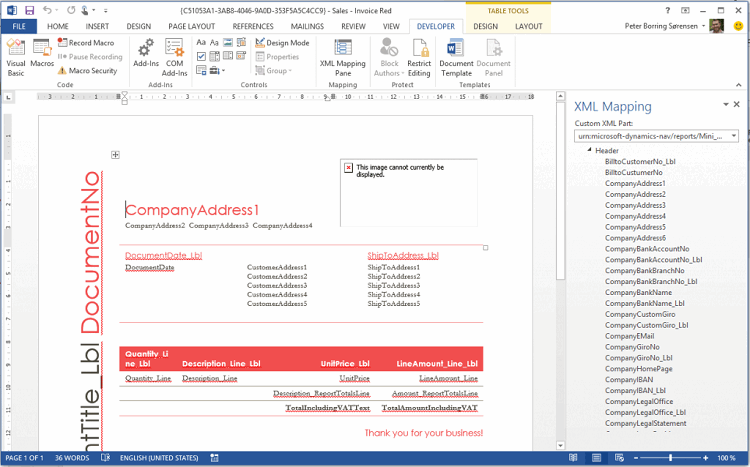 Create document templates in Word (e.g. invoices, quotes, etc.) and send them to JustFood. 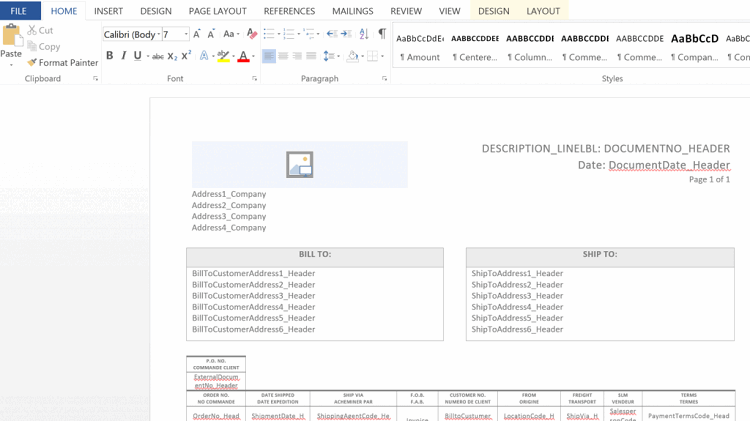 Personalize pre-built or custom templates by dragging and dropping in Word. Every user’s role center can be configured with key metrics relevant to that user. Run reports automatically at intervals you define or get notified by email when limits you set are exceeded. It’s never been this easy to separate the valuable business insights from the noise in your data. You can now embed Microsoft’s powerful Business Intelligence tool, PowerBI, within JustFood to put the most critical information right where you need it. You’ll also have the tools you need to create reports on just about anything you can measure. Create your own charts and reports that you want to appear on your personal role center. See all your most critical performance data in one place. Click on any visual or metric to drill down and get more information. Refresh reports on a schedule you choose so you’re always up to date. Share the data visualizations you create, save them to use again later or embed them in your personal role center. Control who can see what with security and access controls that are easy to set up. Electronic payments in general, and Paypal in particular, are becoming increasingly popular ways for businesses in the food industry to receive payments. This is especially true with smaller companies whose customers and suppliers are also small. JustFood now has everything built-in that you need to accept e-payments. Include a “pay by Paypal” button right on your electronic invoices. Process credit cards and comply with PCI with an add-on. Migrating your data from QuickBooks to JustFood has never been easier. QuickBooks is enormously popular with small business owners, but growing businesses soon discover the need for something more sophisticated. We’ve made it easy to make the transition. Make the move to JustFood while saving and re-using all your existing data. Preserve business continuity and mitigate risk with dedicated tools that manage the migration process. Every release of JustFood includes features and improvements designed to make the software easier to use. In the latest release there are a few specific areas worth special mention. Getting the information you need when you need it is easy when any web browser can be used to work with JustFood. Whether you’re using your smartphone on the road, at a desk or on a client’s Apple laptop, it makes no difference; JustFood always looks and works just as you’d expect. Use any device, any operating system, any browser, anywhere, anytime. Record and review real-time data while in the warehouse or on the road. Get guided help when you need it most with wizards that walk you through the steps. 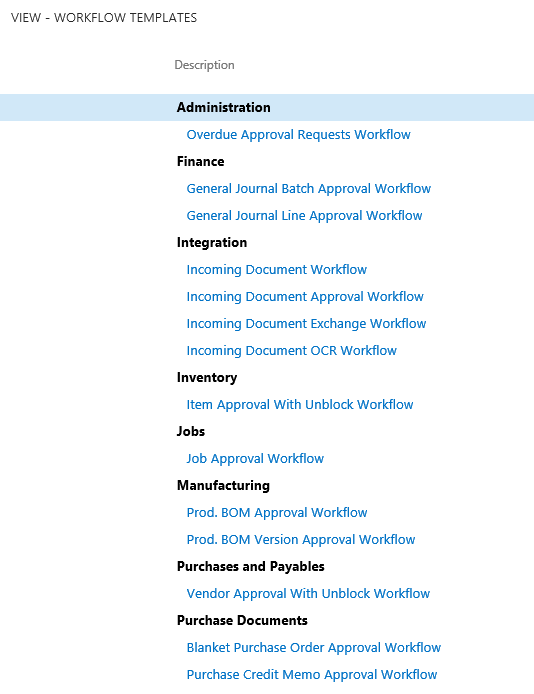 Answer a few simple questions and tasks that used to be complicated, like setting up an approval workflow, get done in just a couple of minutes. Answer a few basic questions and let the wizard do the setup work. Pre-defined setup data for many wizards makes things easier. 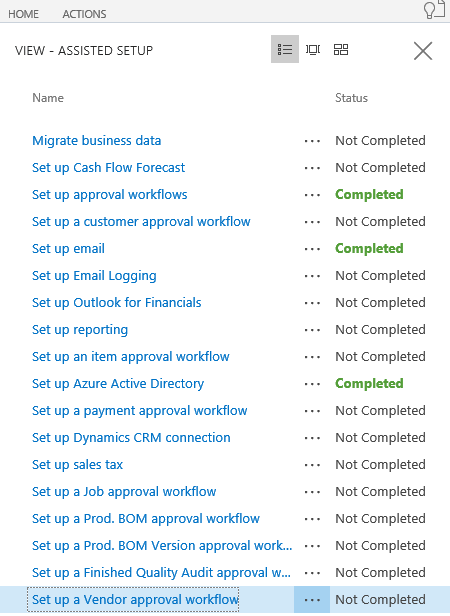 Use wizards to set up workflows, set the fiscal year, configure your taxes and more. Does that customer you’re writing to have an overdue balance? Do you have enough inventory to fill the order? Is the item you’re scheduling on quality hold? We haven’t just introduced new features. As well as making the software more capable and powerful, we’ve also made hundreds of improvements aimed solely at making it easier to use. Hundreds of new, detailed “tool tips” let you find out what a button or data field is for just by hovering over it. You’ll get a proper explanation of how that feature is used, and not just its name. Brick view lets you see your inventory the way you think of it: in stacks with accompanying pictures. Visualizing your inventory data this way makes it significantly easier for you to absorb. Simplified item pages show you only what you need to know, and includes pictures so you know at first glance what you’re looking at. JustFood delivers software and services for the food industry. Our trusted food experts help your company lower costs, improve food safety, and manage compliance to keep customers successful. We do this by matching up the best software technology with the best business processes. Our food industry experts have built a product roadmap that takes you where you want to grow. Food processing and food distribution companies working with JustFood software will reduce implementation timeframes and implementation risks often associated with ERP. JustFood software and services are powered by the fastest growing ERP platform in the world, Microsoft Dynamics, and features food industry-specific functionality.